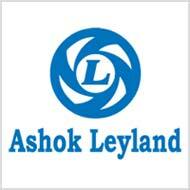 Ashok Leyland, a leading commercial vehicle maker in India, has recorded a fall of 42 per cent in net profits to Rs. 150.03 crore during the first quarter of the year. The company had recorded a net profit of Rs. 258.73 crore during the same period of the previous year. The total revenues were recorded at Rs. 3,728 crore and the total sales stood at 23,602 units during the January to March, 2013 period. Experts have said that the company faced lower earnings due to low operating margins, low utilization levels and high discounts in the country. "The challenge is that sales fell in the core sectors for Ashok Leyland but grew in areas that the company is not particularly strong in," Vinod K Dasari, MD, Ashok Leyland, said. As for the whole year, the profits fell 23.4 per cent to Rs 433.7 crore. The total turnover fell 3.3 per cent to Rs 12,481 crore and total sales stood at 70,917 vehicles during the year. The company is planning to launch a host of new models in the coming year including passenger or commercial vehicle Stile, the CNG version of its light commercial vehicle Dost, another commercial vehicle 'Partner', and two new trucks.